Why not come along to the Market with the kids on Saturday, and really kick off the festive fun? They can meet the man himself at his special grotto, in the Market’s event area. As well as telling Santa what they’d like for Christmas, children can also make and take home a LEGO® bricks penguin or mini Santa at the special LEGO workshop. And if you’re looking for penguins to complete your LEGO bricks Penguin Trail then you can also search the Market for our two very own Rockhoppers! 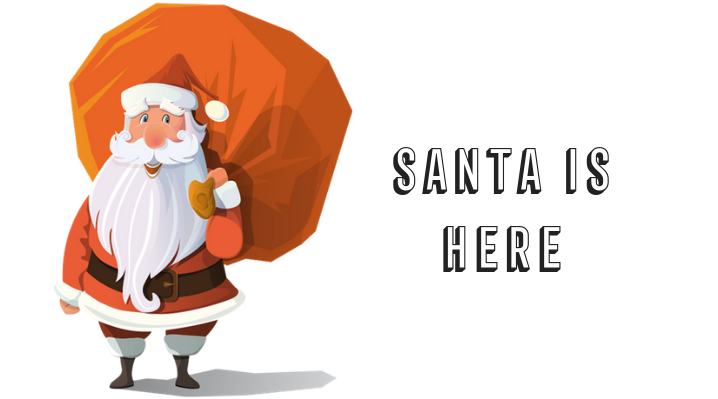 Santa will be at the Market from 11am to 3.30pm on Saturday and it’s just £3 to buy a Golden Ticket to see him. If your youngster would also like to make and take home a LEGO bricks penguin or mini Santa as well as see Santa, a Golden Ticket costs just £6. You’ll also get to label and take home some reindeer food ready for Christmas Eve, as well as a chocolate snow cone. Not keen on Santa? You can just make and take a LEGO bricks penguin or mini Santa for £5. As well as Santa, there’s lots of other things going on in the Market to get you in the festive mood, along with all the great shopping and eating opportunities we have on offer. On Saturday there will be face painting, a children’s entertainer and festive songs from the amazing Ocean City Sounds Choir. Enjoy the sounds and join in the fun whilst you stock up on goodies for Christmas or find that special present at one of the Market’s many stalls. You’ll find all sorts to choose from: candy, nuts and pastries, fresh fruit and veg, meats and fish, as well as handmade crafts, clothes, ceramics, records, antiques, collectables and more. And don’t forget when you buy a Golden Ticket you can save 10% on food and drink at our participating eateries in the Market, until the end of December 2018. What a good excuse to tuck in to a delicious lunch or well-earned piece of cake! So what are you waiting for? Come and discover Plymouth Market for yourself soon!